Kotaku reader Bonny John’s running a pretty cool project by drawing one Pokémon every day. Kotaku reader Bonny John’s running a pretty cool project by drawing one Pokémon every day. 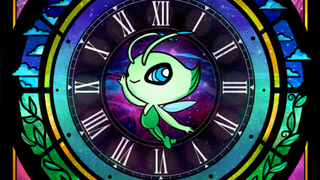 He’s at number 251 of this series, and since it’s a milestone for him, he celebrated it with this fantastic Celebi piece. Here’s the full image and a WIP shot below. Head over to TAY for all the other pics. Dayshot is an image-based feature that runs every morning, showcasing some of the prettiest, funniest game-related screenshots and art that we can find. Send us suggestions if you’ve got them.